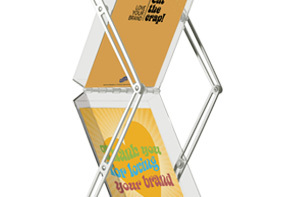 Brochure Stand – The perfect way to expose and transport brochures! 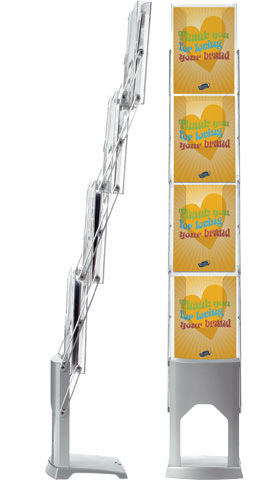 With its exclusive design and ingenious construction the Brochure Stand is an ideal profiling medium in any environment and a perfect way to transport your brochures. Designed to be both sleek and stable. The Brochure stand folds up and down like an accordion. Brochure Stand Double – Double your impact! 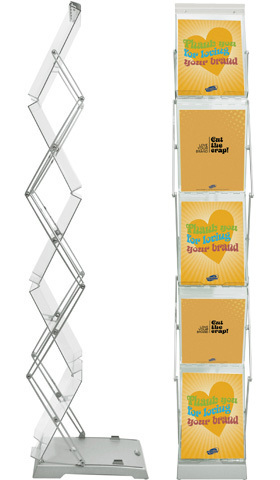 Brochure Stand Double exposes your brochures in two directions thanks to the zig zag construction. 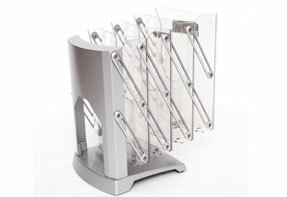 The brochure stand unfolds by gripping the top and lifting it to upright position. 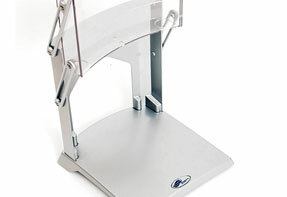 The stand has a sleek design and stands steady. A locking button makes the system secured when unfolded. Available in a hard or soft transport case. 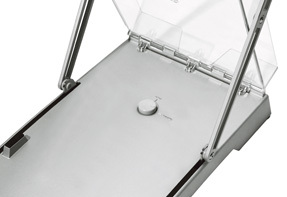 The locking button secures the system when unfolded.